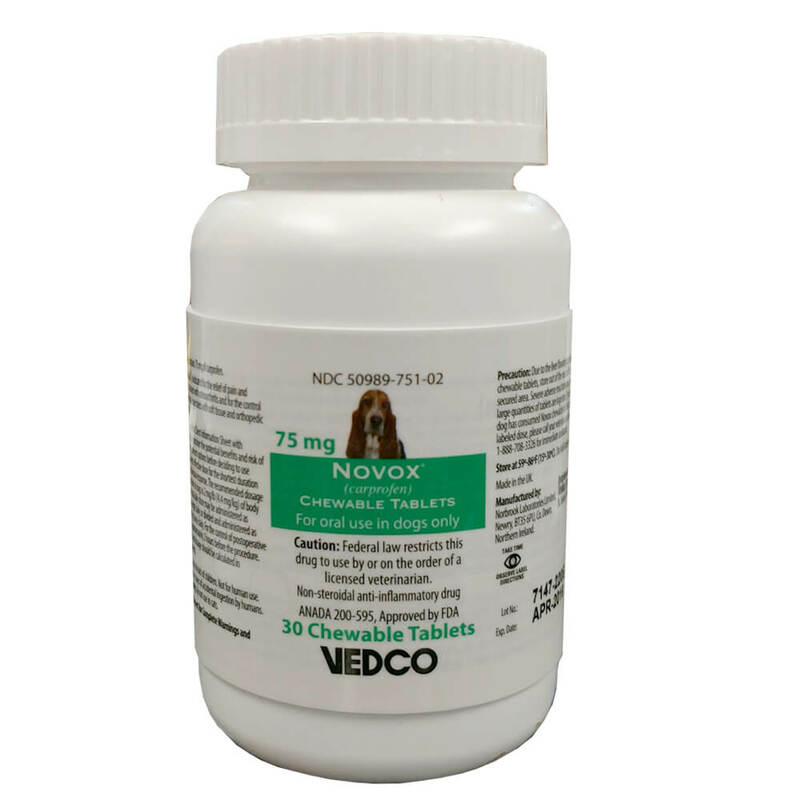 As dogs grow older, their joints tend to become stiffer and less mobile, causing a great deal of discomfort and limiting how much and how fast they can move around. 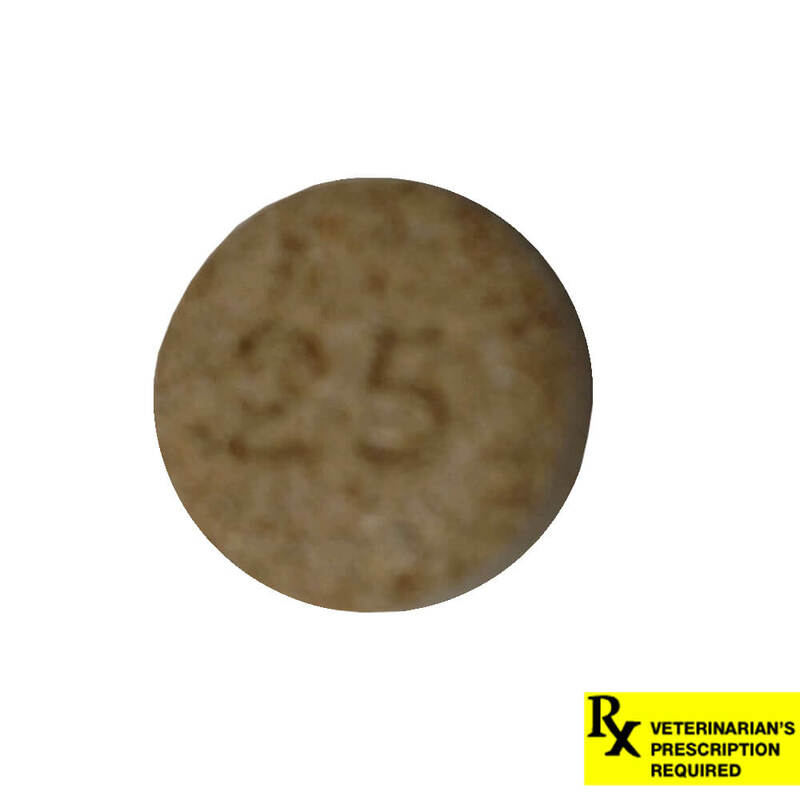 This can be extremely uncomfortable for them, and as pet owners, we want to do everything we can to make life as comfortable for them as possible. 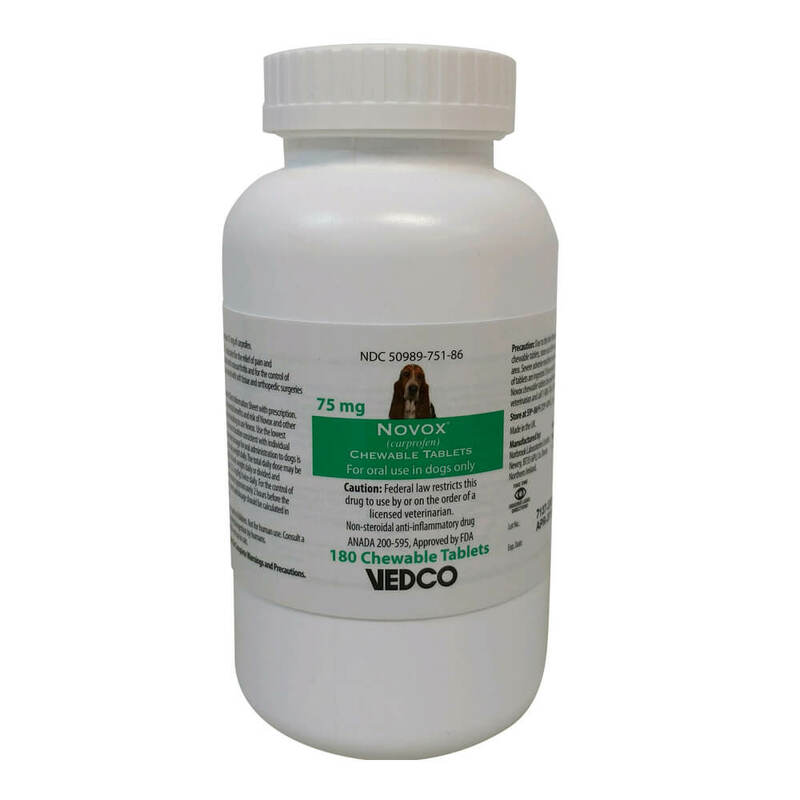 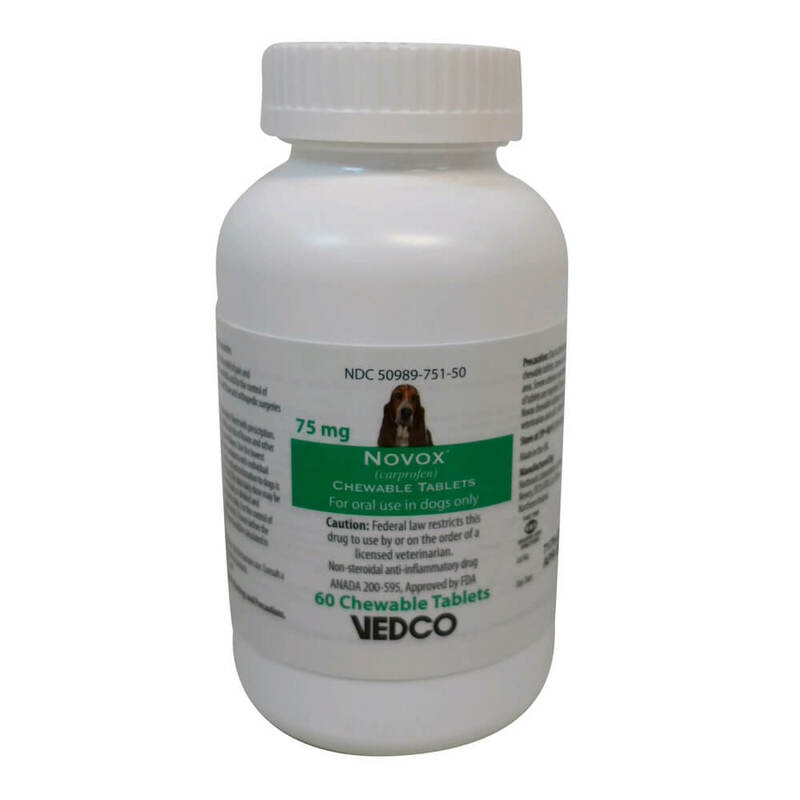 If arthritis and other forms of joint disease are becoming an issue, we recommend talking to your veterinarian about Novox. 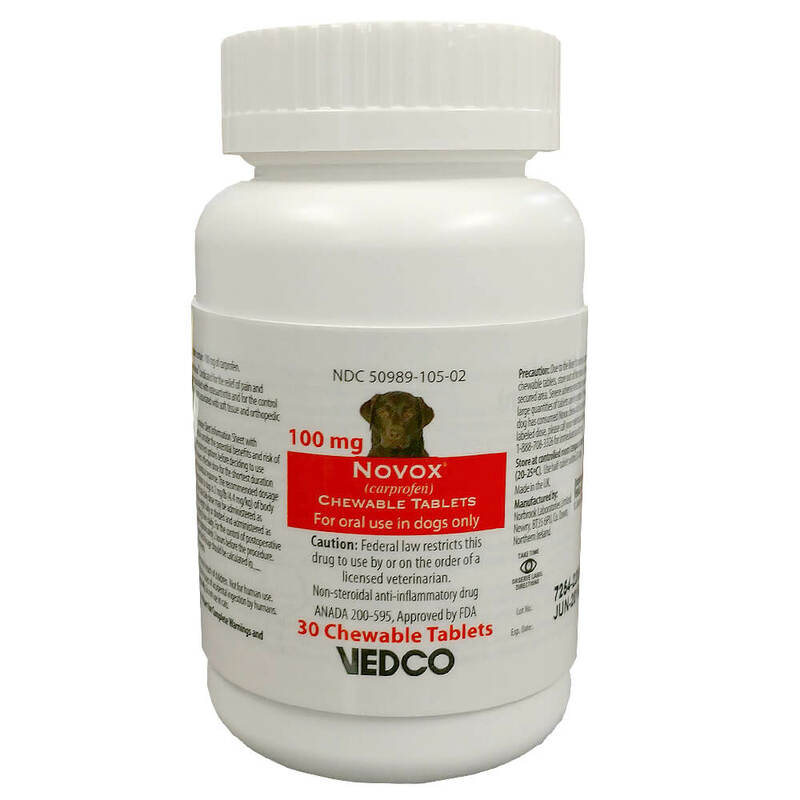 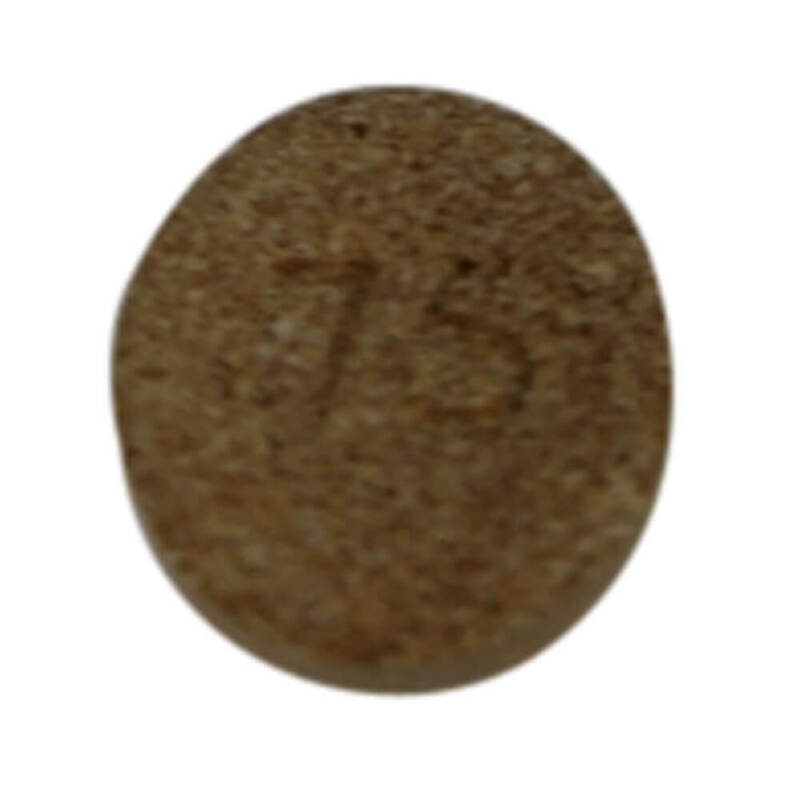 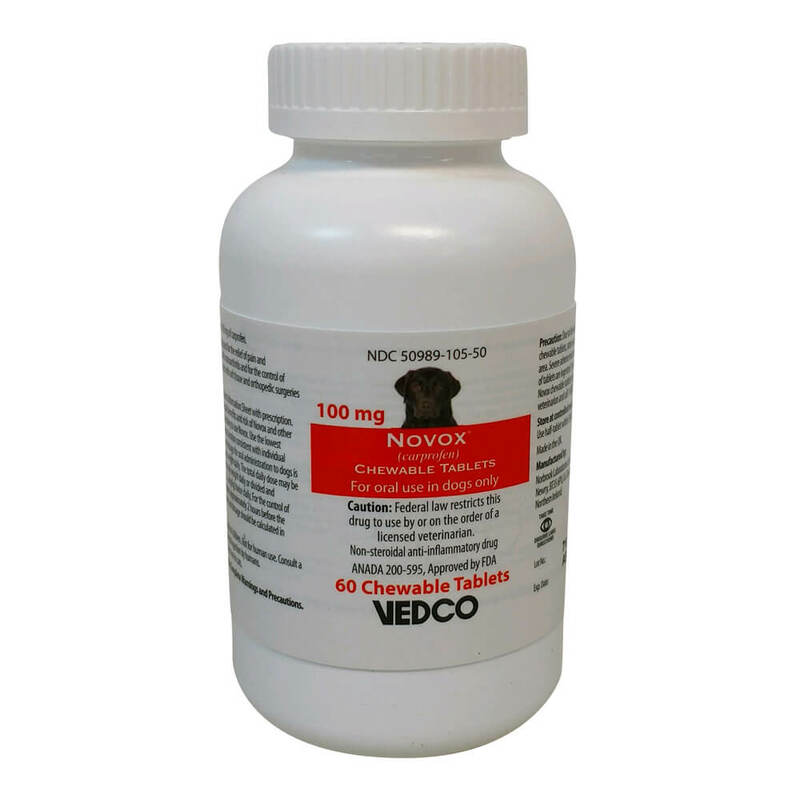 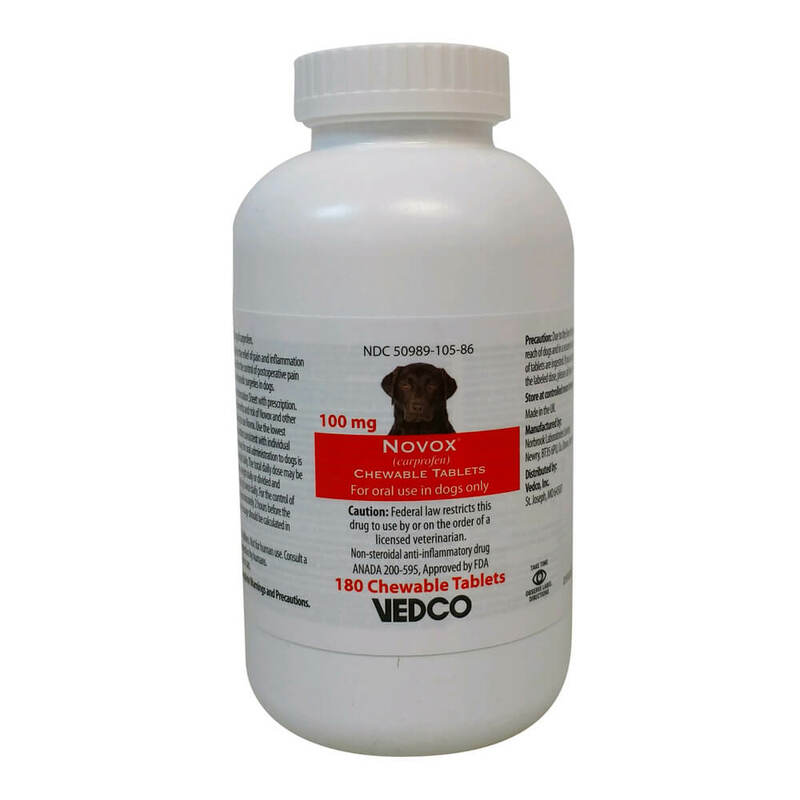 This is a chewable tablet which reduces inflammation in dogs' joints without the use of steroids. 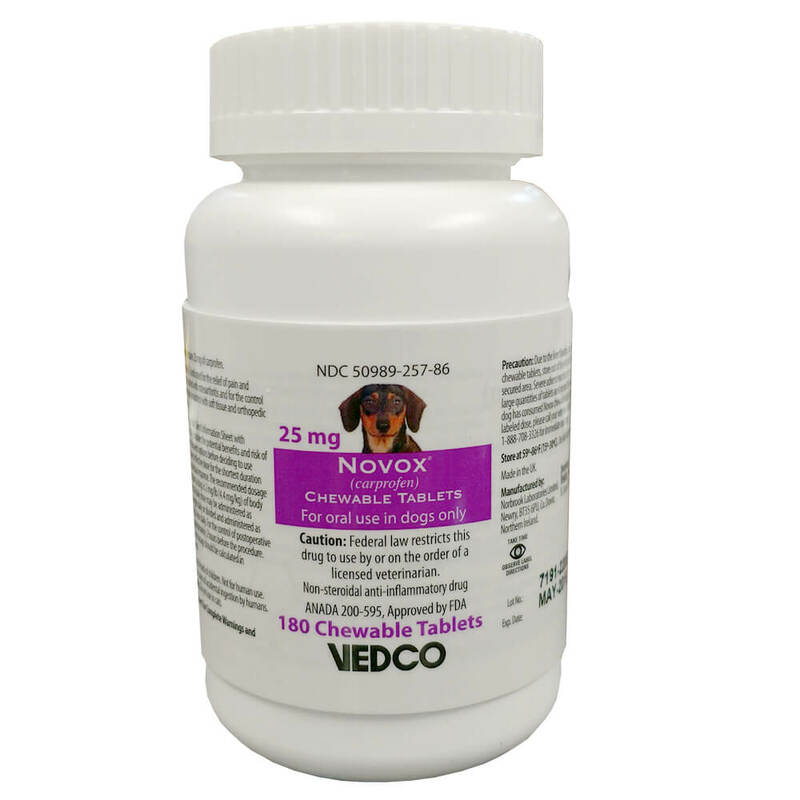 It is also useful for controlling postoperative pain in canines, so if your dog has experienced surgery-related stiffness as of late, this might be worth talking to your vet about. 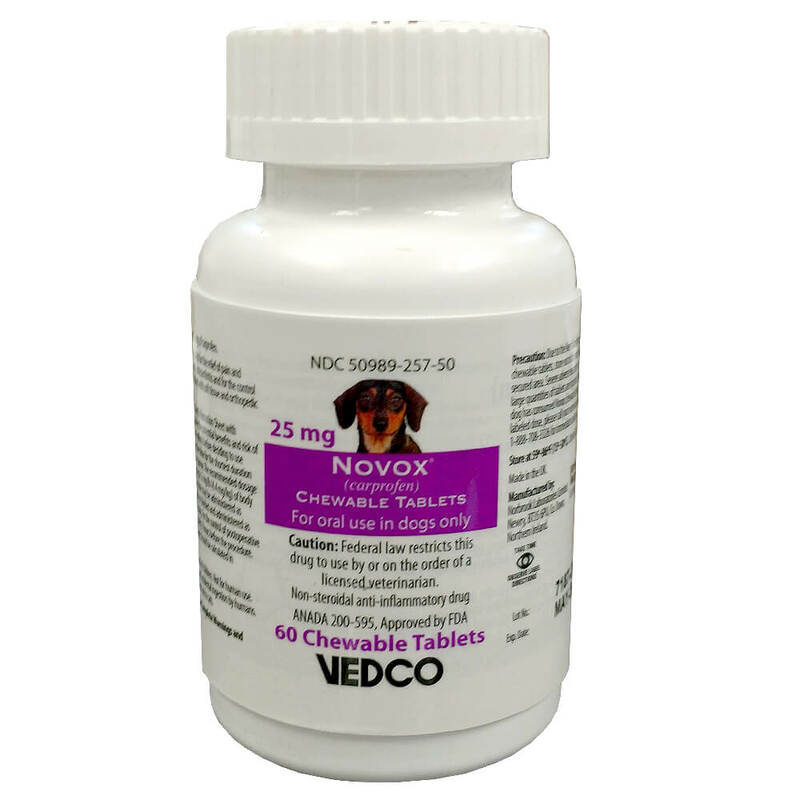 Please note you will need a valid prescription from your veterinarian in order to purchase this product. 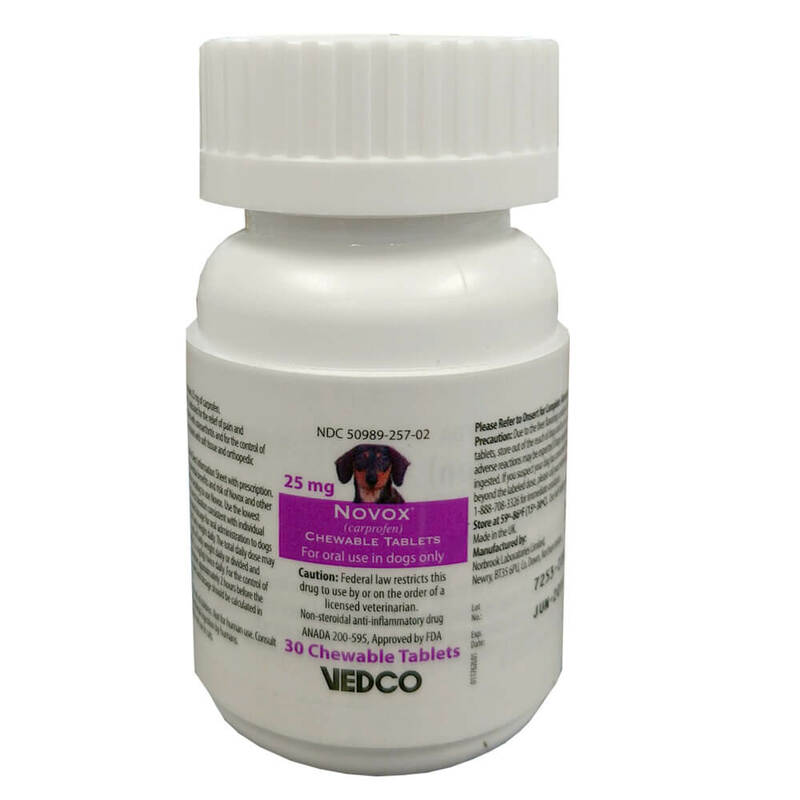 Always follow your veterinarian’s instructions when it comes to administering this medication. 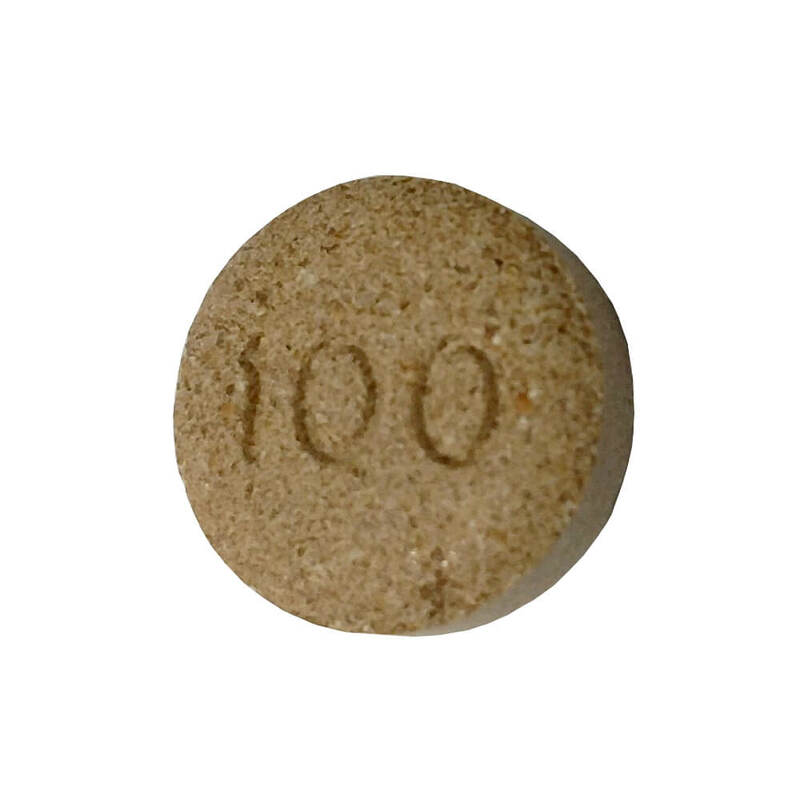 The dose they prescribe is the dose you are to give.